Serving the States of Illinois (except Southern Illinois), Indiana, Iowa, Michigan, Minnesota, Nebraska, North Dakota, Ohio, South Dakota, and Wisconsin. 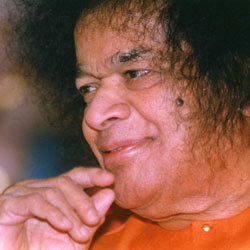 Sairam and Welcome to Fort Wayne Sai Center. divinity. … So, your duty is to emphasise the One, to experience the One in all you do and speak. Meeting Day and Time: Every Sunday 3-5 pm. 1. Bhajan practice is on Sunday April 7th. Please bring a CD/cassette if you are practicing a bhajan. 2. Please note change in time of center activities on Sunday April 14th from 1 PM to 3 PM. 4. Byron Health service project Saturday April 13th. Please use the e-mail below to send your questions or comments. If you are a member of Region 5 Sai Centers, please register and login to access more content along with contact information for different Centers. Ongoing project - Distribution of food kits to the homeless.